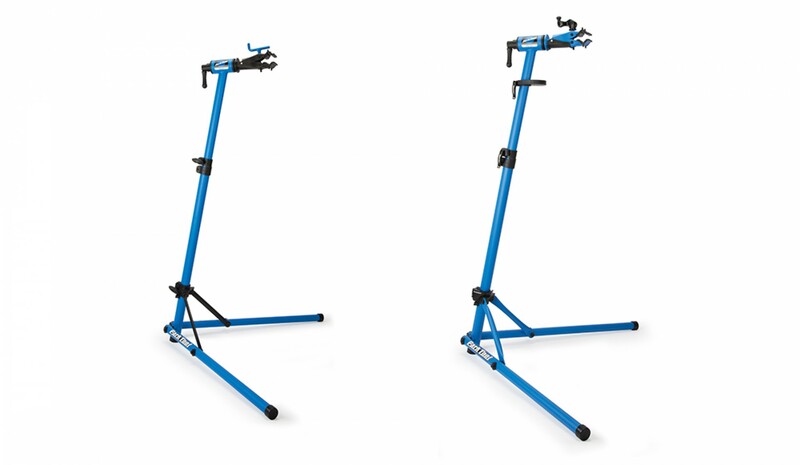 Park Tool is pleased to reveal the details on two new home mechanic work stands, upgrading the tried and tested formula that was originally released back in 2004. The original PCS-9 and PCS-10 repair stands were originally released in 2004 and 2006 respectively and have by and large remained the same. The PCS-9 was a basic work stand with few frills and the PCS-10 was an upgraded version with more features. Now, after 14 years both have had a re-design, resulting in the release of the PCS-9.2 and PCS-10.2. 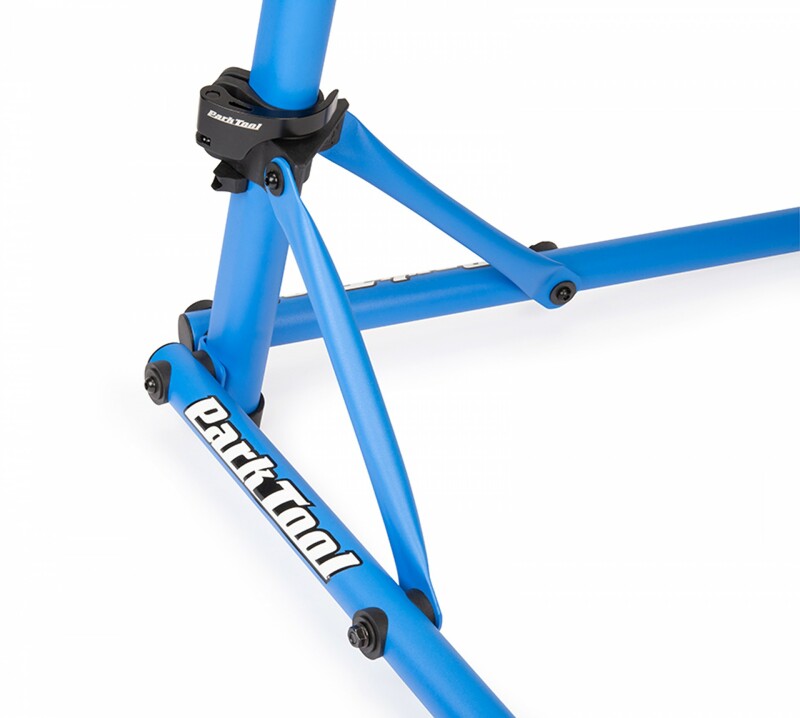 These two fantastic new stands are slightly more expensive than their predecessors but come laden with more features to help cyclists work on their bikes. 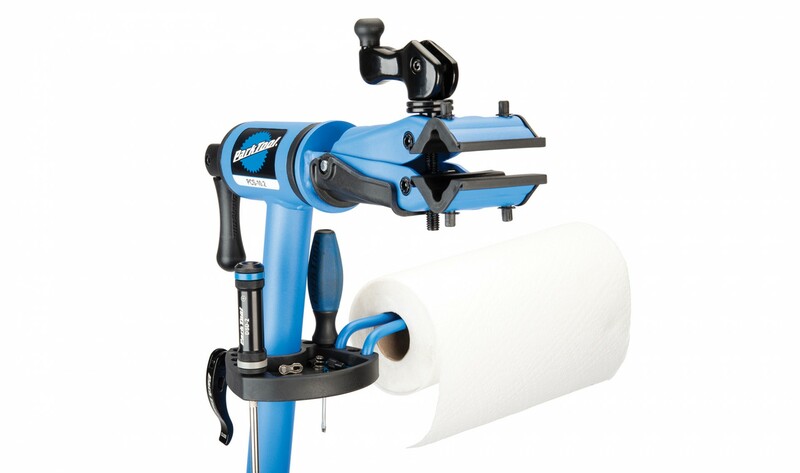 Both have re-shaped and contoured clamp parts and the PCS-10.2 gets a saddle pad similar to the Pro Micro Adjust clamps. The Oval-shaped upright tubing ensures that the lamps are always oriented correctly over the legs. 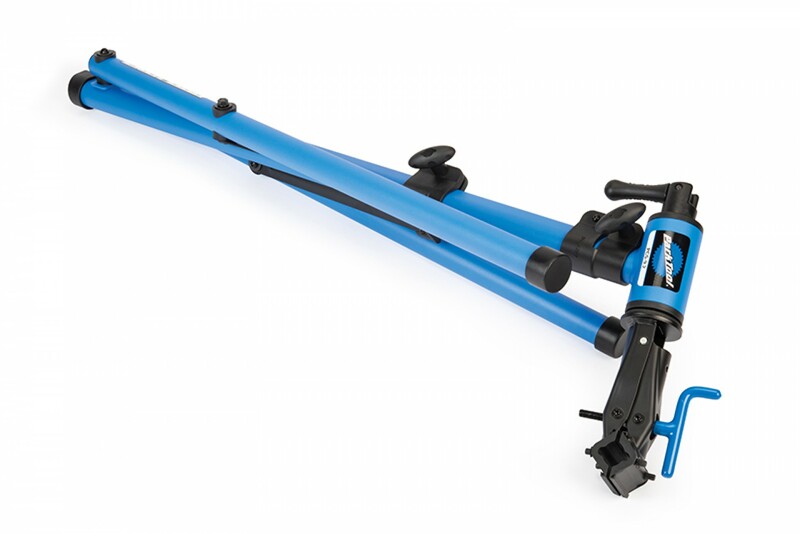 On both stands the legs now pivot differently and feature struts to keep them together as they are folded – the PCS-10.2 does have slightly stronger and stiffer struts than the PCS-9.2. 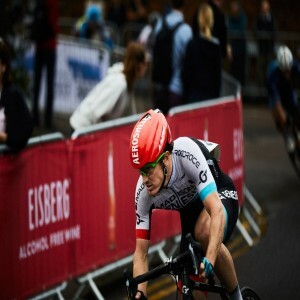 Legs can be locked up or down on both stands which is a big upgrade – trust us! Both stands use a steel top tube with a composite rotation bearing system which we find minimizes clamp sticking. 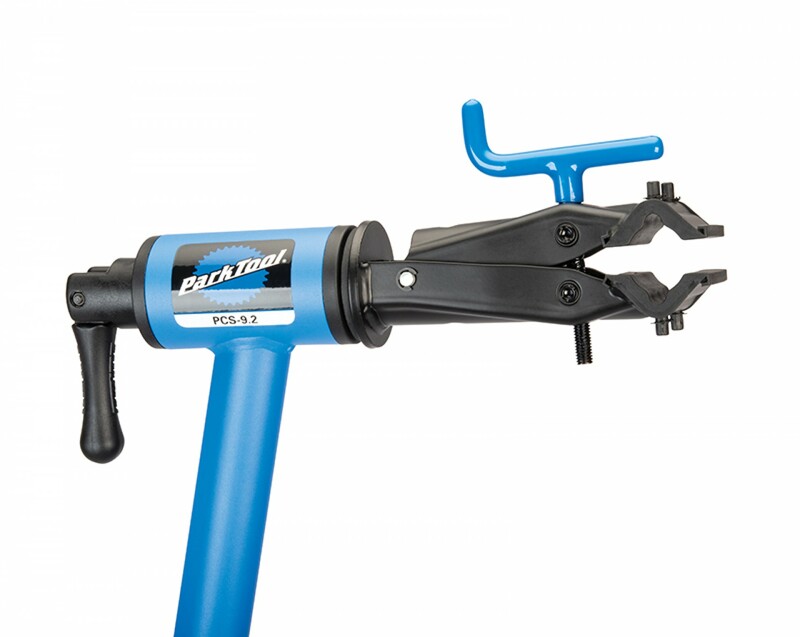 The PCS-9.2 uses ergonomic knobs for locking and height adjustment, while the PCS-10.2 uses quick releases for locking and height adjustment. The stickers have been moved back to the legs so they don’t get stepped on and compromised.